This office space is situated in a period building, located in a vibrant suburb of Nottingham. There are many offices on offer, which all range in size from 100 Sq Ft to 500 Sq Ft. 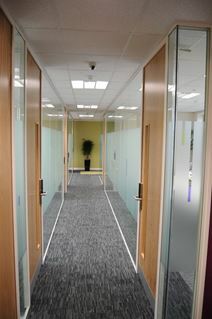 The building has great facilities, such as on-site parking, kitchens on every floor and separate meeting room. Located in West Bridgeford Centre, there are many great restaurants, bars and cafes located within walking distance of the work centre. With fast fibre broadband, 24/7 access, CCTV, and a great West Bridgford location, this centre offers a great place to base your business and grow your brand. The centre comes with both dedicated meeting and breakout space, allowing you to enjoy a multitude of locations throughout the office and increase your productivity. Just a five-minute drive from Nottingham city centre, and yards away from both Trent Bridge and the City Ground, this centre is truly embedded into Nottingham culture. This business centre is perfectly located in a thriving suburb of Nottingham. Offering various sized spaces, these beautiful offices are available on flexible terms to suit your needs. Contract car parking can be arranged, and there are on-site amenities including break-out areas and lounge space, meeting room availability, conference facilities and IT support. Nottingham City Centre is just 10-minutes away, and the space is located on a major bus route.